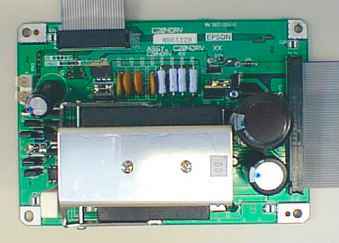 There are two types of C204 MAIN board used as after service parts. 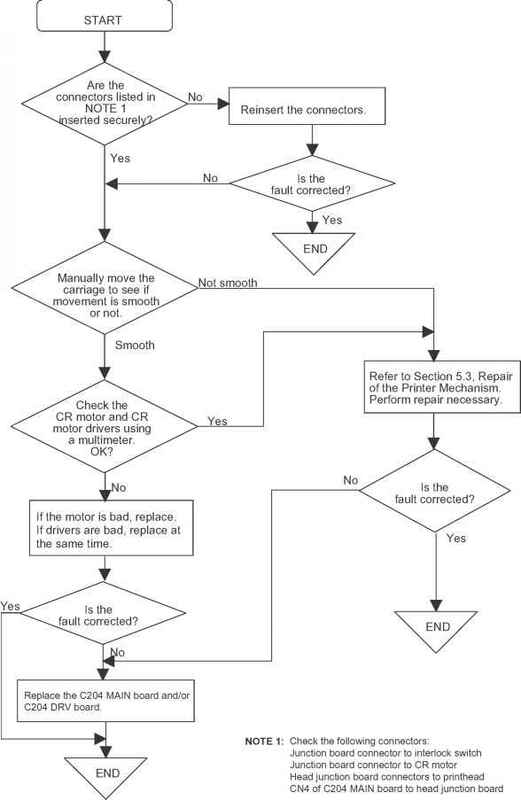 The following Table shows differences between them. 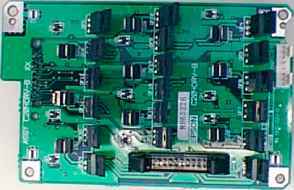 The C204 DRV board is the driver board specially for the printer mechanism. 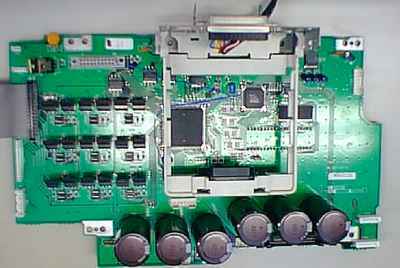 The % printhead, printhead fan, plunger, PF (paper feed) motor, CR (carriage) motor, CR fan, PG (platen gap) motor, and RF (ribbon feed) motor drive circuits are located on the driver boards. The C204 DRV-B board is the % printhead driver board. The drive part is mainly consists of the discrete bipolar FETs. The C204 SUB board consists of five DIP switch units. 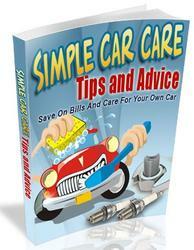 It is located behind the front paper cover. C204 PSB/PSE board is a power supply circuit board which generates the power for the control circuit (main control board) and printer mechanism drive circuit (driver board). It contains cooling fan on the top. 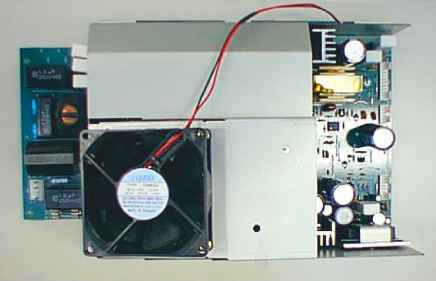 The PSB board is a 100-120 V AC version, and the PSE board is for 220-240 VAC.